For Wild Nordic and National Geographic on Svalbard. First nights work outside Longyearbyn. 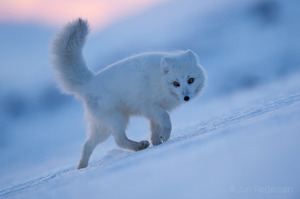 The arctic foxes were on high hormon-alert; mating and and fighting of rivals. At 02.30 in the night the light was awesome.